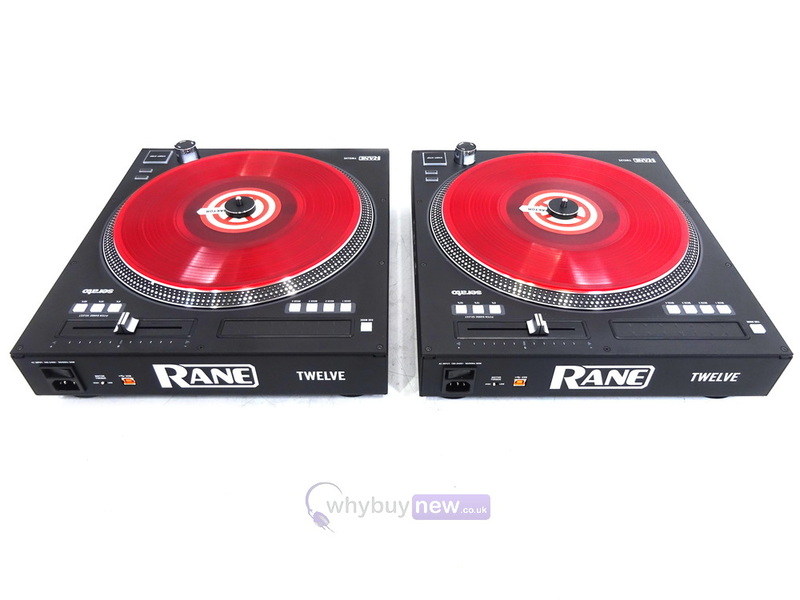 This pair of Rane Twelve Controller Turntables have been used for demonstration purposes and come with a 1 year warranty. Both units are in excellent cosmetic condition. 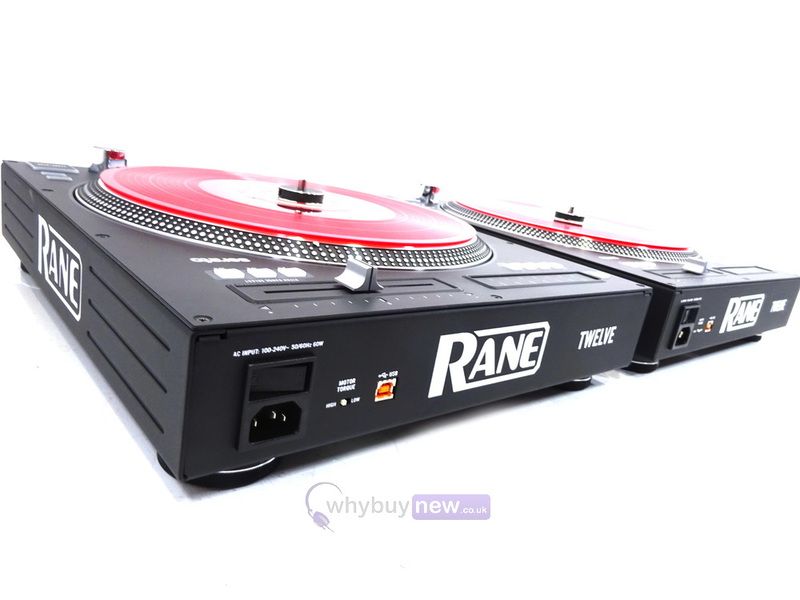 They come with Traktor Scratch control discs instead of the Rane ones and also include Rane slipmatts, manual, stickers, allen key, power supply and the original packaging. 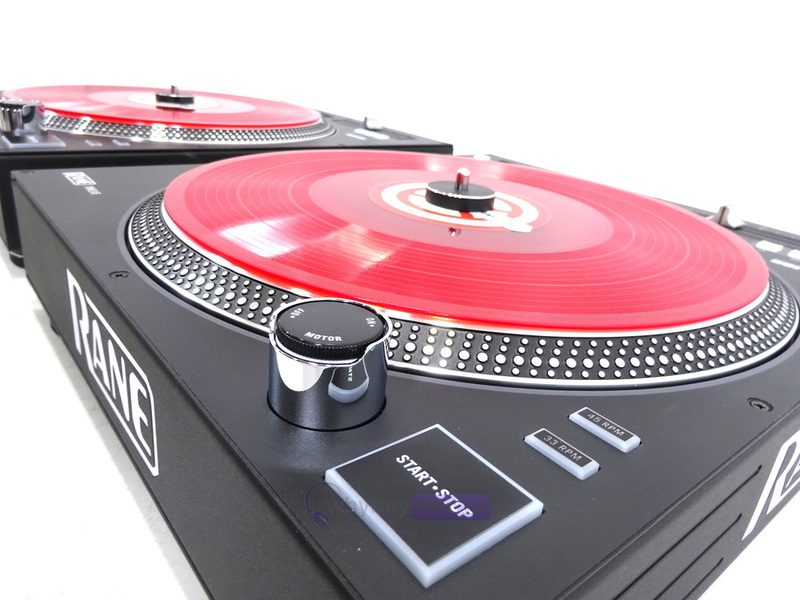 With no tonearm or damaged/skipping needles, the Rane Twelve gifts the Pro, Club, Scratch and Battle DJ with a zero-error, secure and solid performance environment coupled with the 100% essence of a real-feel, true vinyl DJ experience. The heartbeat of the music finally returns to the DJs fingertips! The Twelves twin-torque, 12-inch motorized platter gives 3,600 ticks of resolution, per single vinyl revolution. 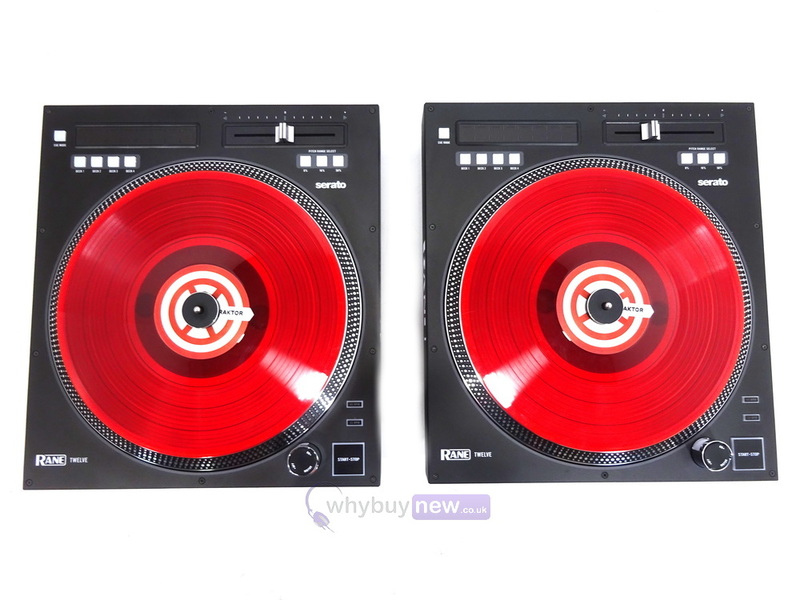 This brings precision music file playback with hitherto unrealized digital performance accuracy - customizable even further with a DJs own choice of slipmat/butter-rug. For too long now, Turntablists and DJs have had to compromise at live shows on their preferred levels of sub-bass frequencies, dialling it back in fear of feedback, rumble and noise. 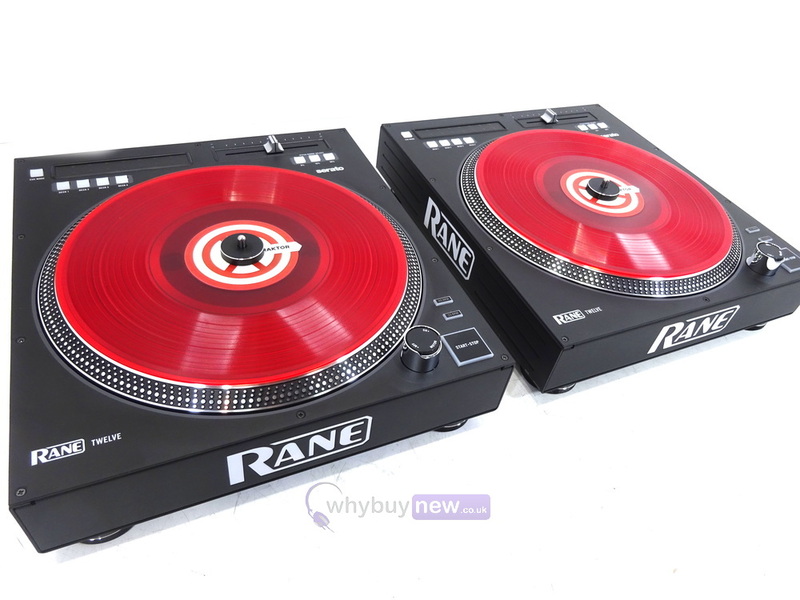 Now, with the Rane Twelve, control vinyl DJs can #ReclaimTheBass and perform their music at the full frequency range enjoyed by their fellow digital DJs. In addition, the layout of the all-metal bodied Twelve is so familiar, that any DJ whos used a turntable before will feel instantly at home. The control elements are simplicity itself to use, with 4 deck-select buttons and the multi-function touch strip for track searching and setting/triggering hot cues, in place of the tone arm.